Located across the remains of the Roman Forum from the Church of St Donat is the Church of St Mary (Crkva sv Marije). Established in the 9th century as a Benedictine nunnery, it was founded by a noblewoman named Cika, a daughter of a powerful local nobleman named Madije. 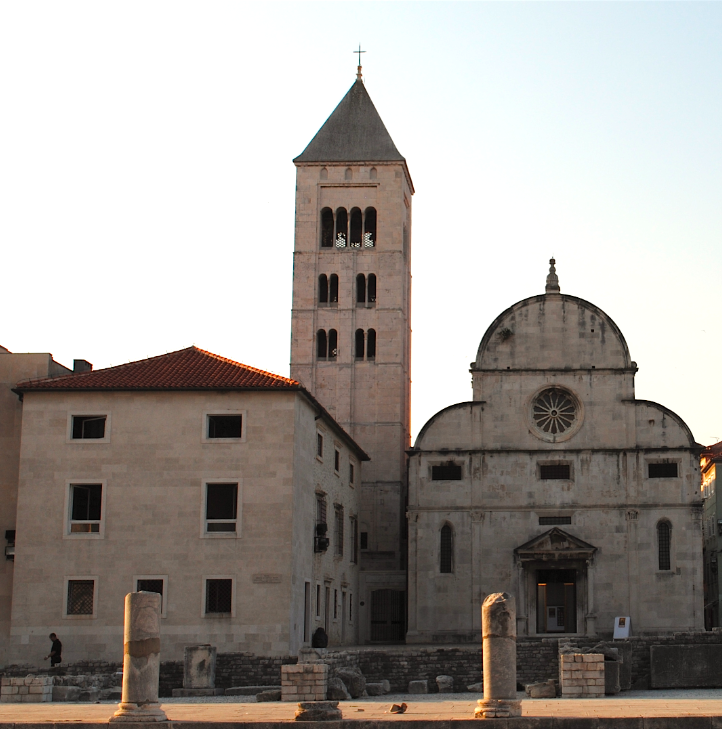 Cika became its first abbess and the Croatian king Petar Kresimir IV donated the church to her. A new Romanesque, aisled basilica, was built in 1091 of which much is preserved today despite undergoing reconstructions on two occasions. It was enlarged with the addition of two bays in 1507 and had a new Renaissance front, a circular gable and southern front. 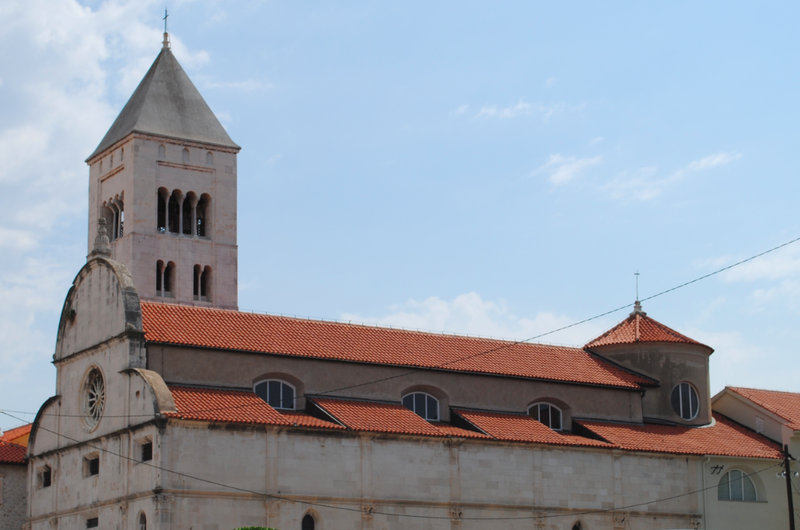 After victory and the conclusion of peace in 1105, King Koloman endowed the construction of the campanile and the chapter house, the first High Romanesque buildings in Dalmatia. The four capitals supporting the groin vault in one of the first floor rooms, one of the oldest in Europe, have the King’s name inscribed. In 1742-44, the interior was redesigned in the Baroque style and richly stuccoed. In the 19th century the interior was renovated again in Classicist style. Almost totally destroyed in 1943-44 by air raids, it was reconstructed in the 1970’s. Since reconstruction, the western and northern nunnery wings have been used for the permanent exhibition of religious art. Objects produced by Zadar’s goldsmiths during the Gothic period are on display here.